PowerFlashPoint is a PowerPoint plug-in that automatically convert Microsoft PowerPoint presentations to Macromedia Flash format. PowerFlashPoint is the easiest and more featured alternative that let you create Flash movies without any programming abilities. 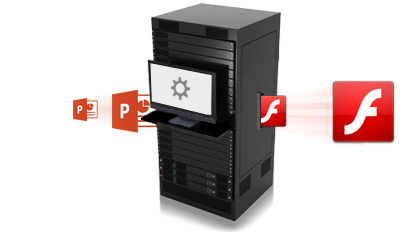 Here is a step by step demonstration on how to create Flash movies with PowerFlashPoint.